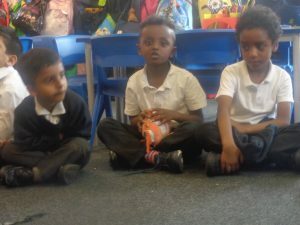 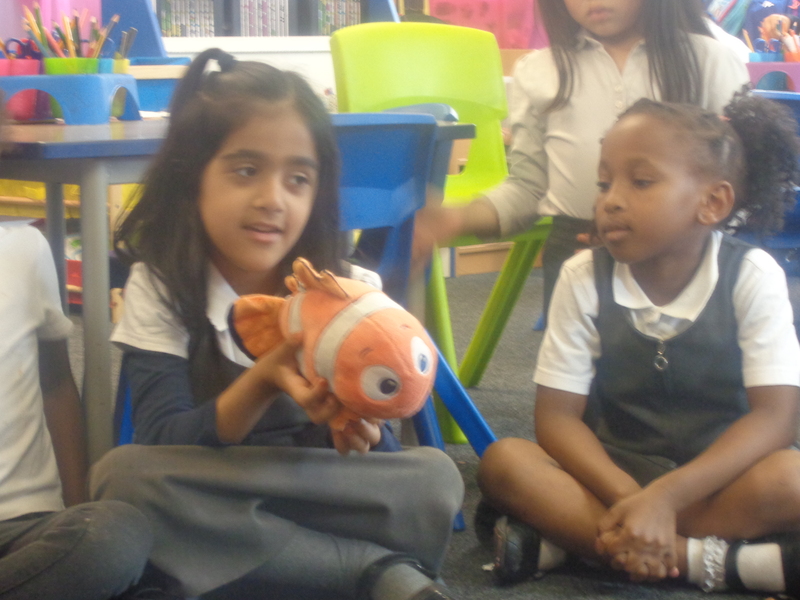 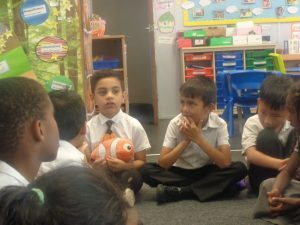 In Year 1 this week we did circle time on transitioning. 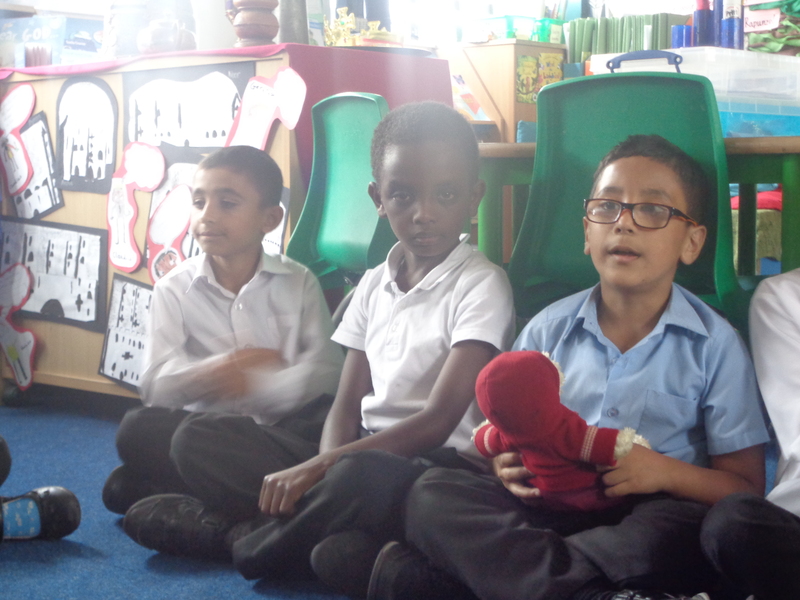 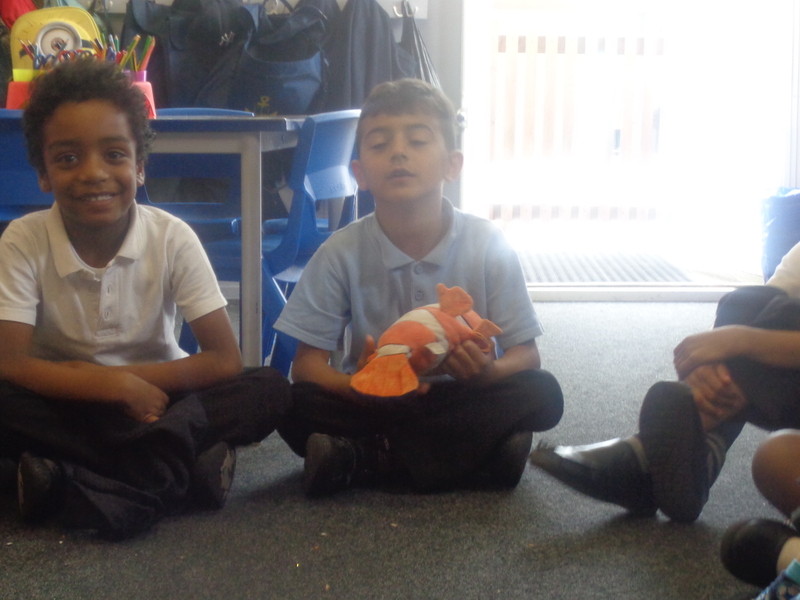 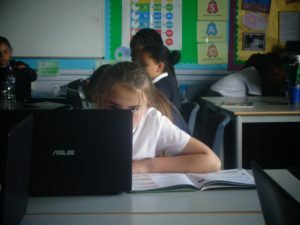 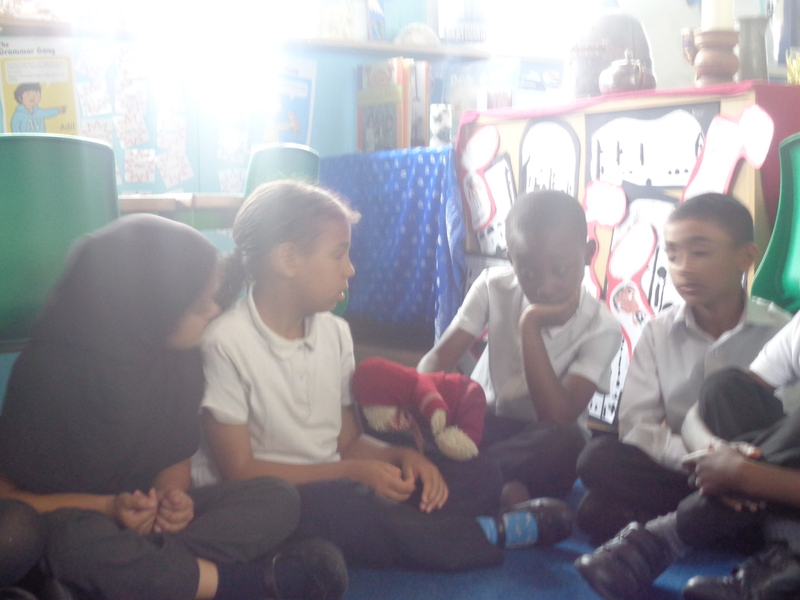 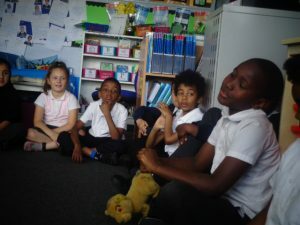 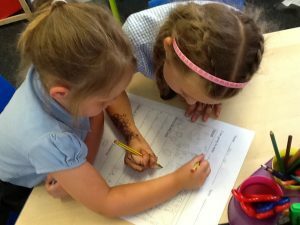 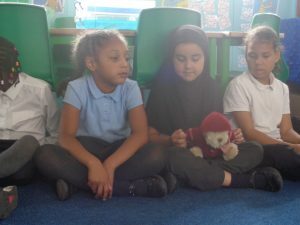 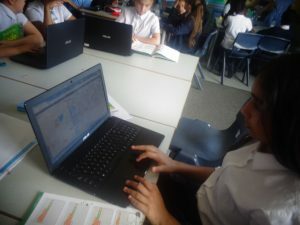 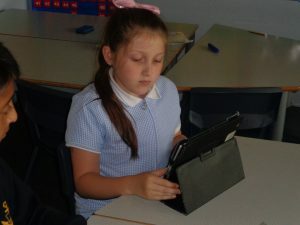 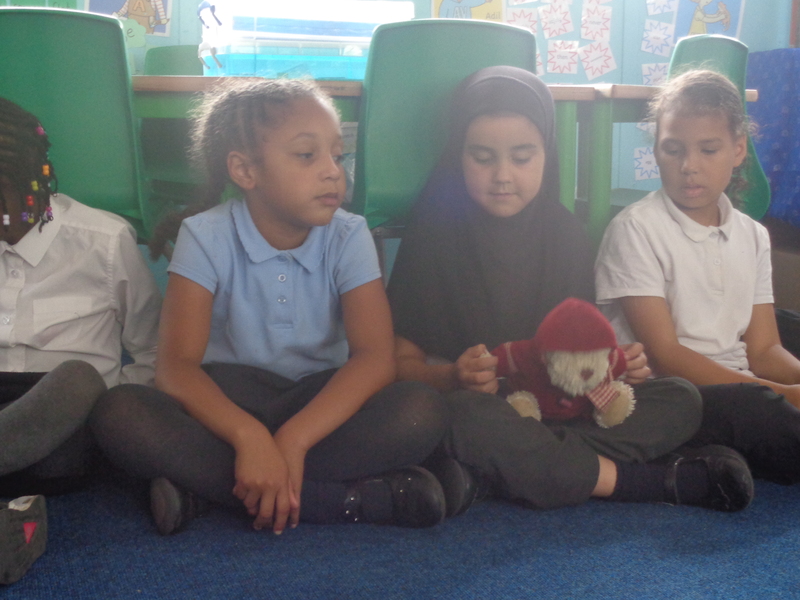 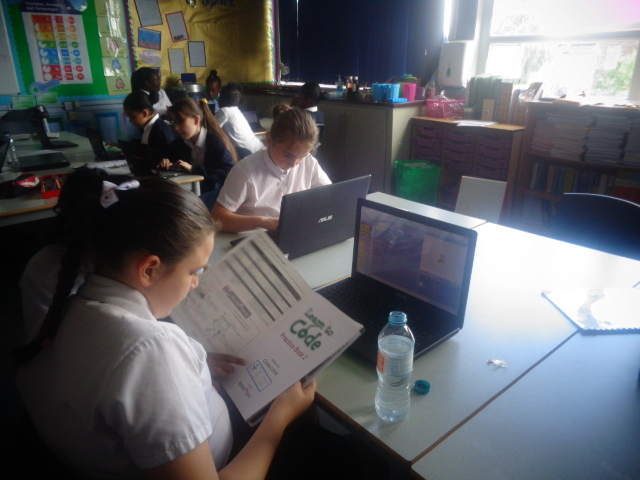 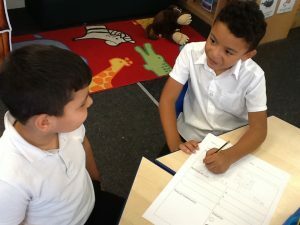 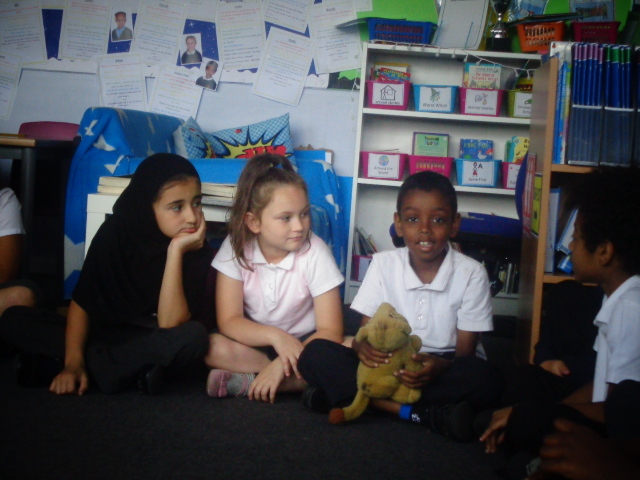 We discussed if children had any worries or concerns about going into their new class in September. 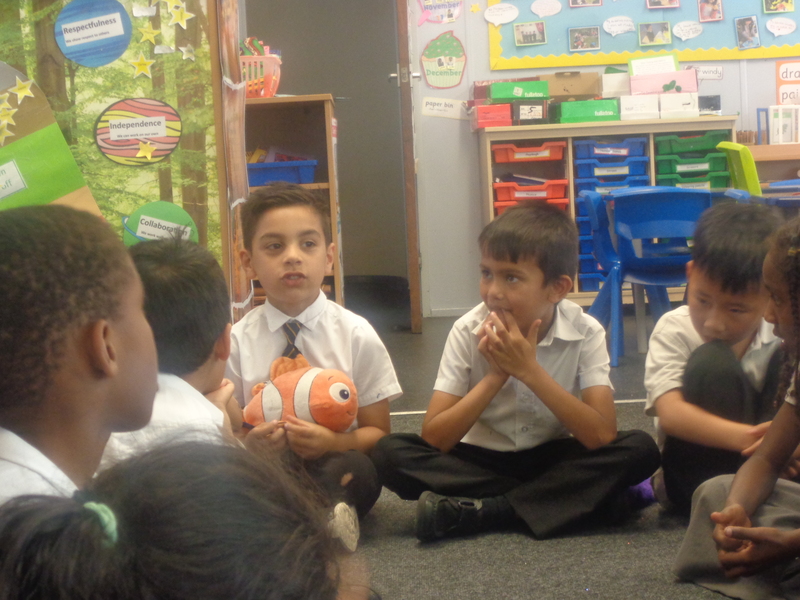 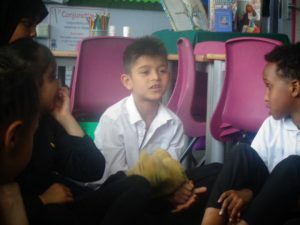 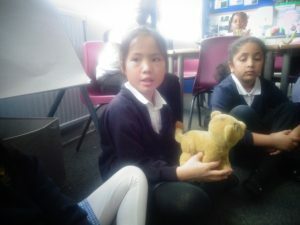 In Year 2 this week we did circle time on transitioning. 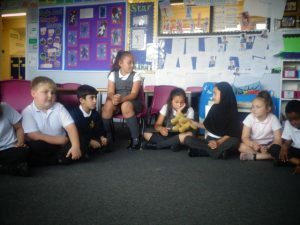 We discussed if children had any worries or concerns about going into their new class in September. 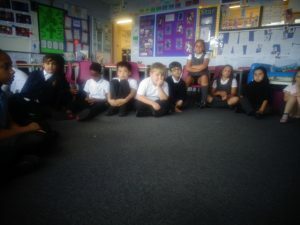 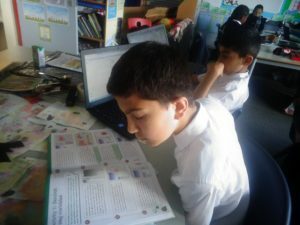 In Year 3 this week we did circle time on transitioning. 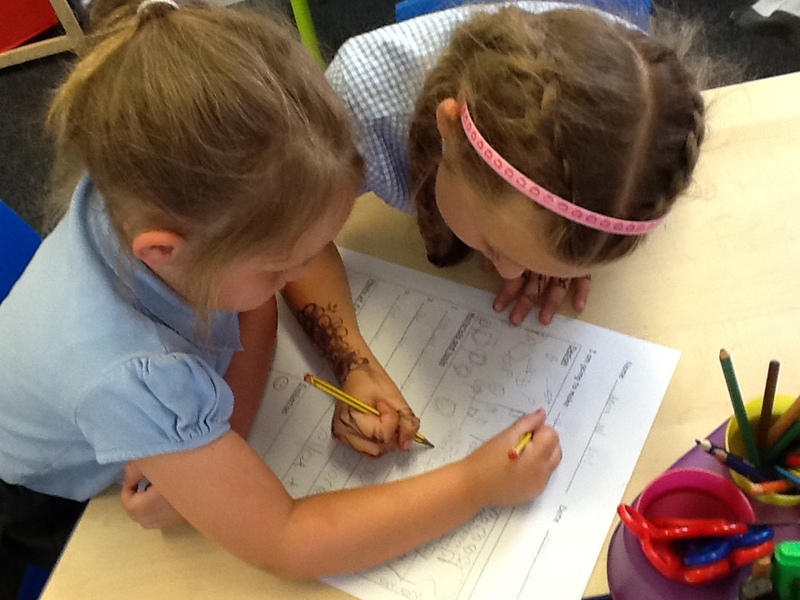 We discussed if children had any worries or concerns about going into their new class in September. 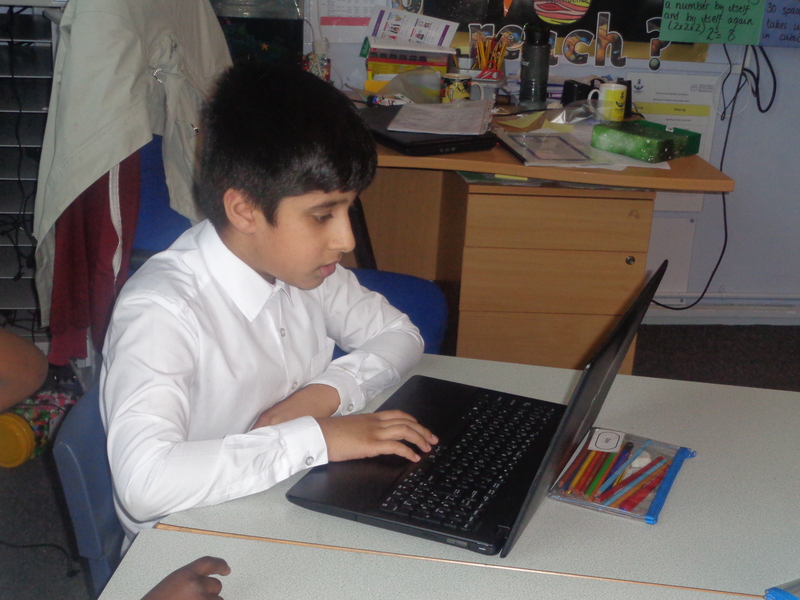 In computing this week Year 6 created a grid for light bolt to move around on and then sequence a set of commands to programme him to light up the blue tile. 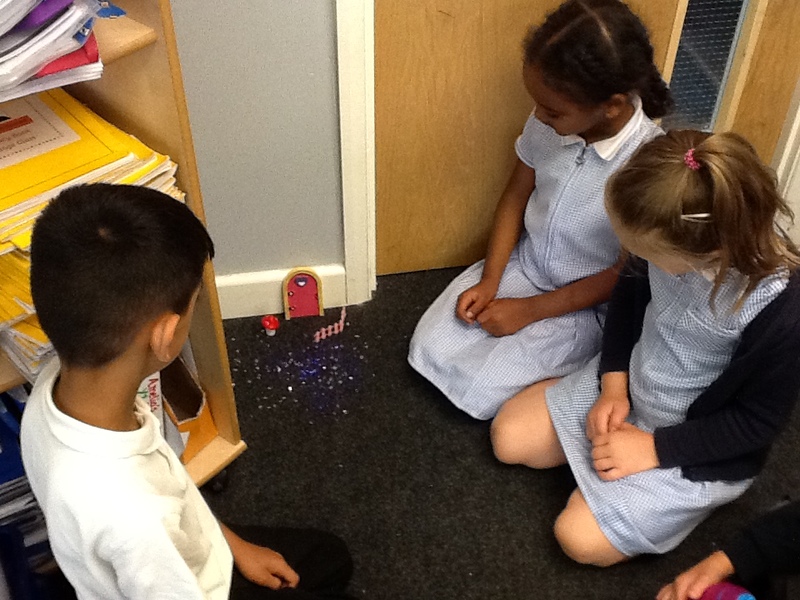 Year 1 found a magical, tiny door in our classrom. We thought about how the door got there and the children decided as a class that a little fairy had left it there for us. 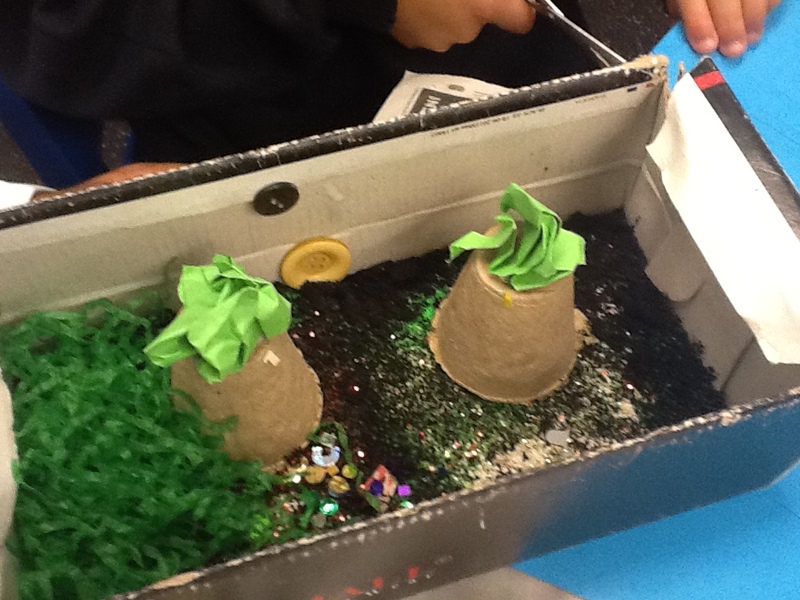 We decided to make fairy gardens for the fairies. 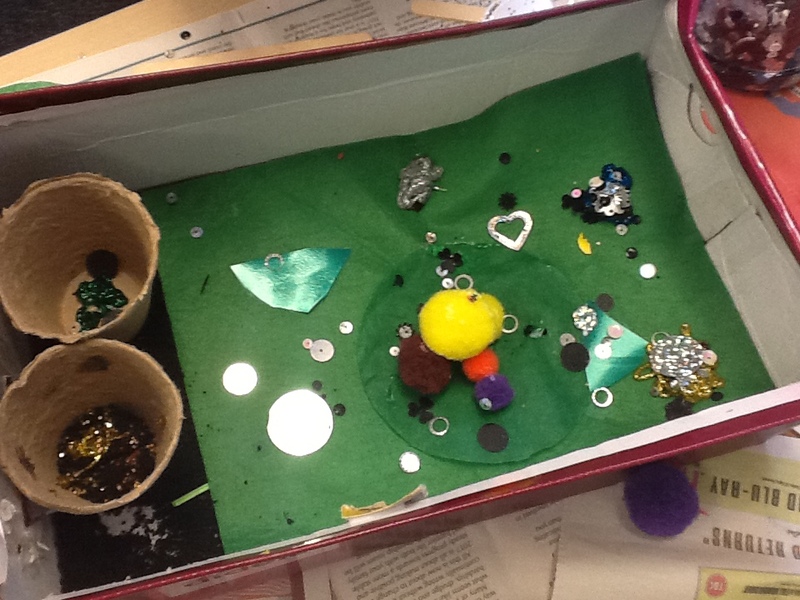 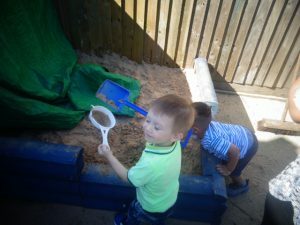 We have had a busy week designing and creating our very own fairy gardens. 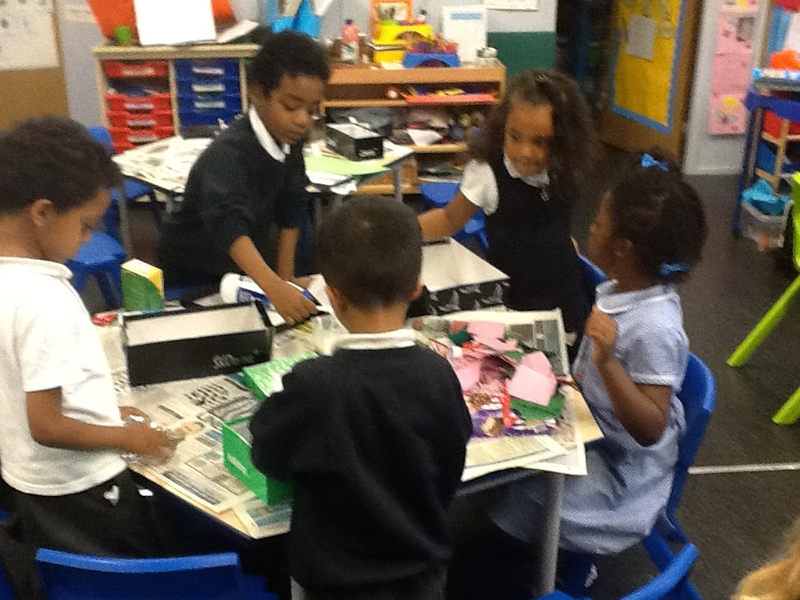 Reception and Year 1 joined together to design and make them. We worked really well together! 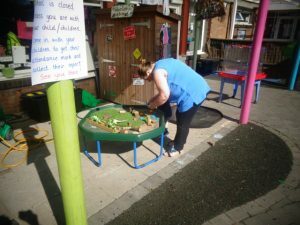 Take a look at our fairy gardens! 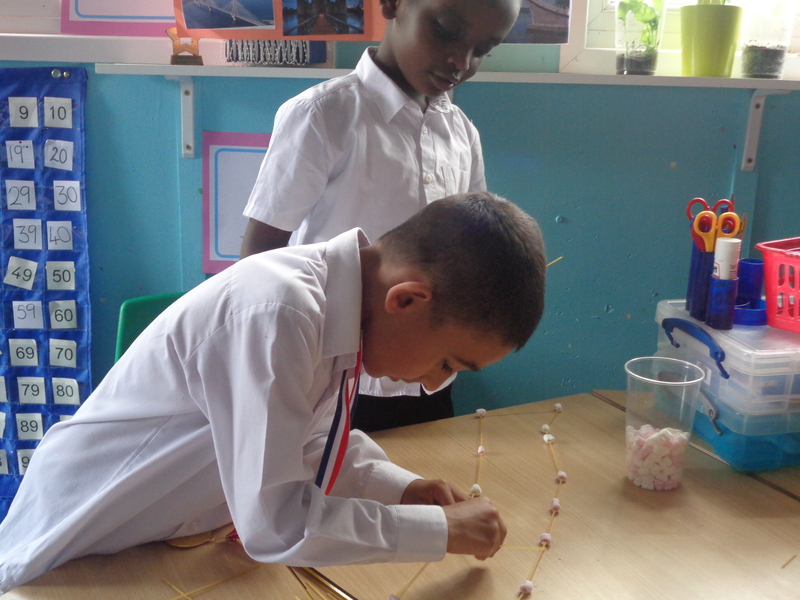 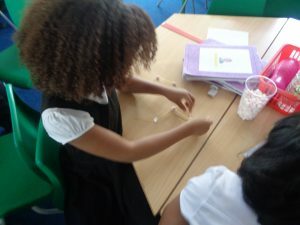 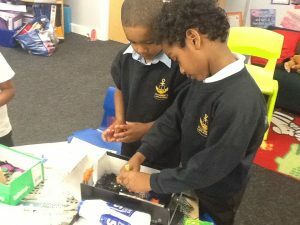 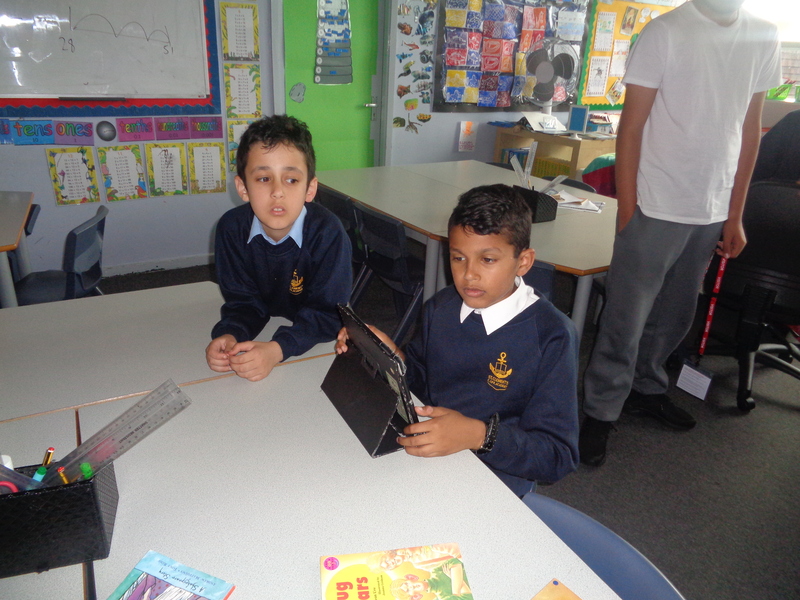 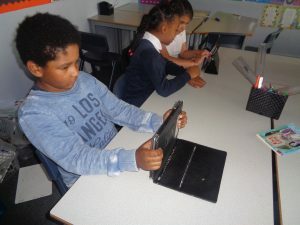 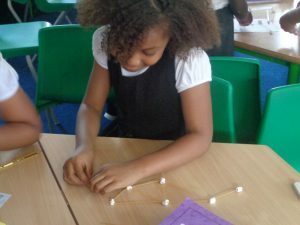 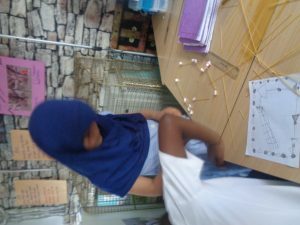 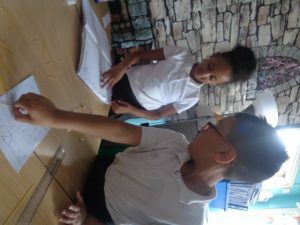 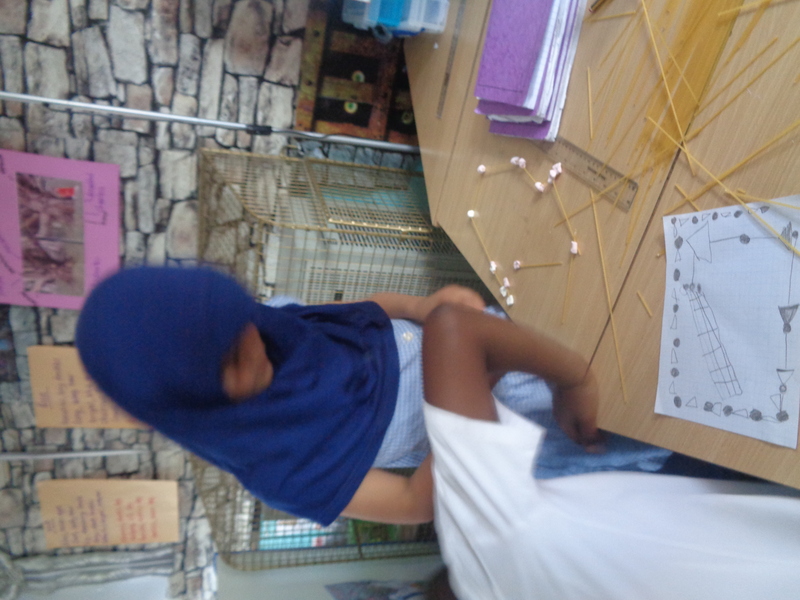 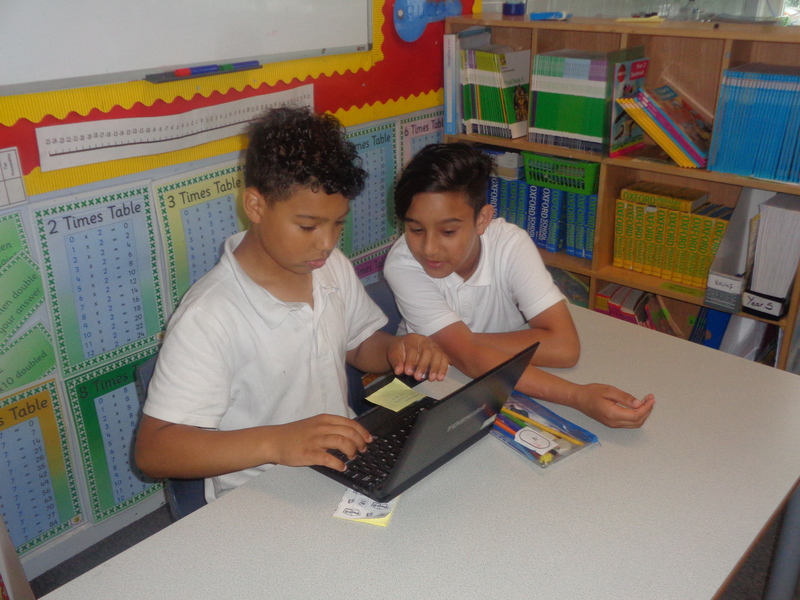 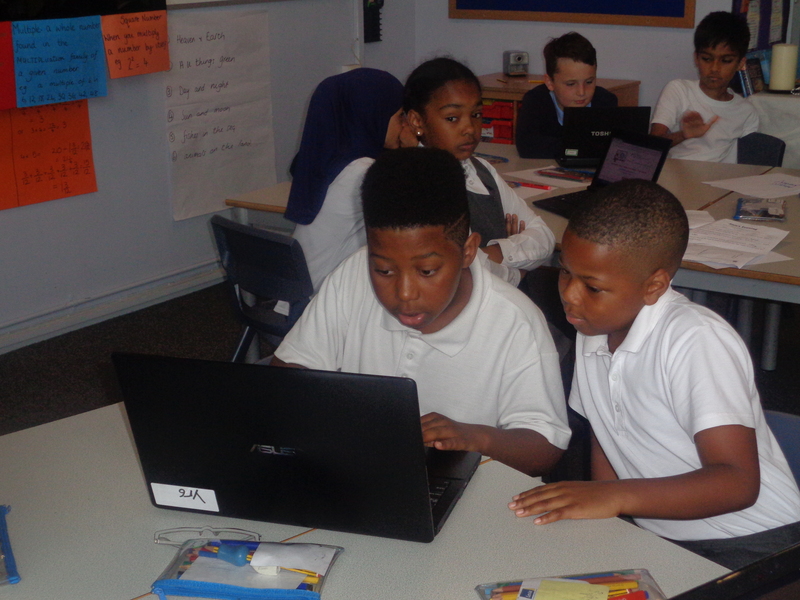 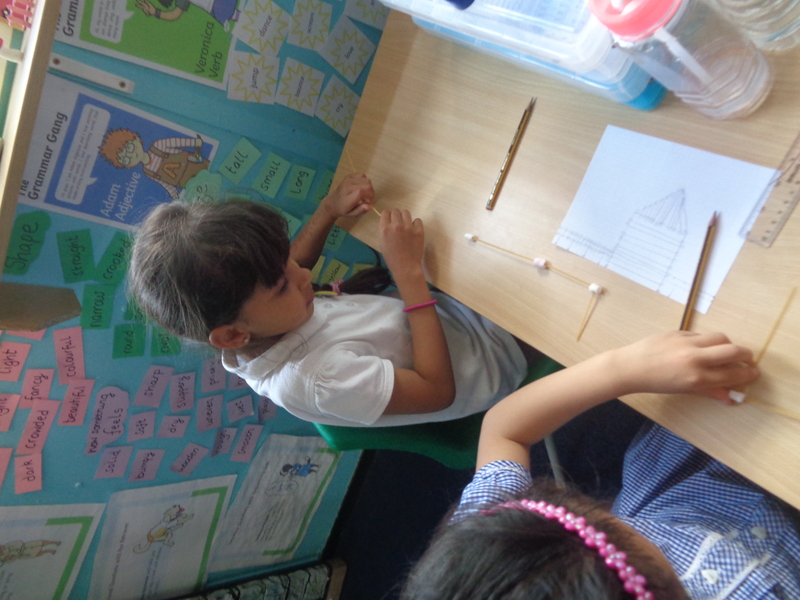 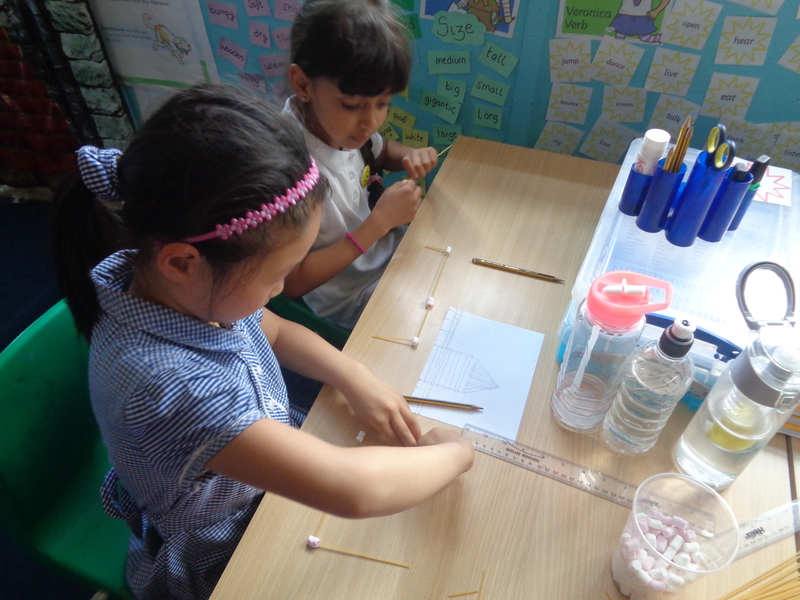 This week Year 2 have turned themselves into engineers – just like Isambard Kingdom Brunel. We have been exploring the famous bridges and tunnels that he has built and discussing what it means to be an engineer. 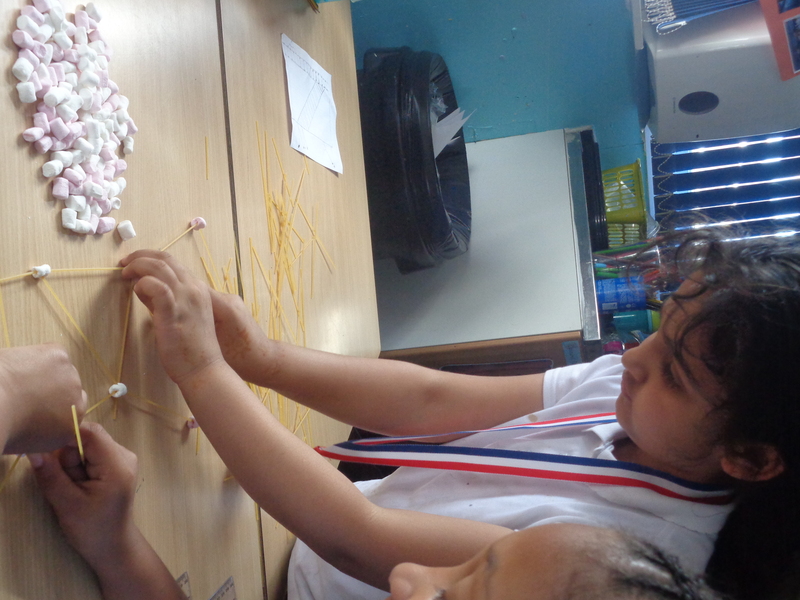 We decided to become engineers ourselves and design and build bridges. 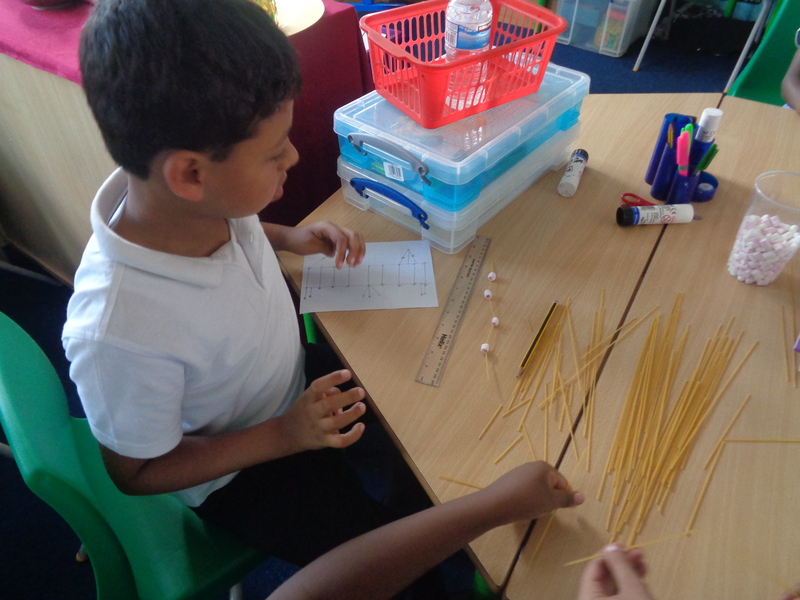 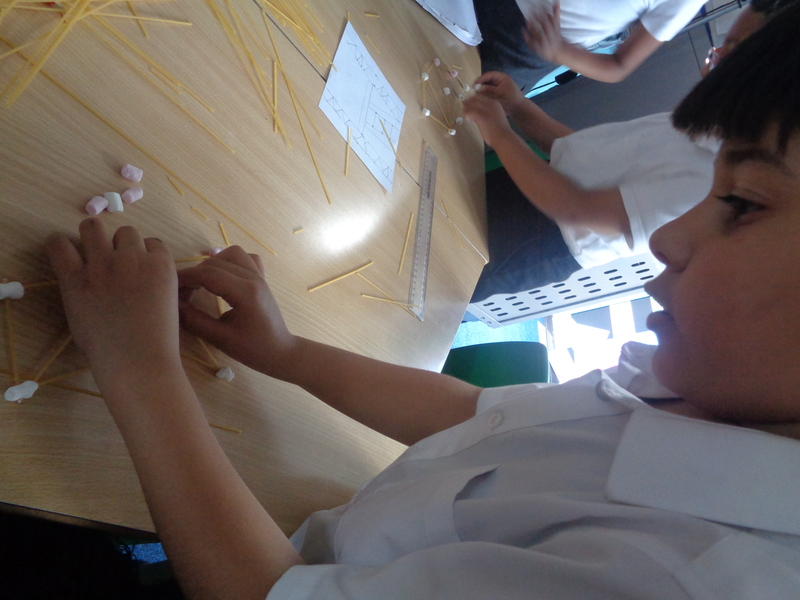 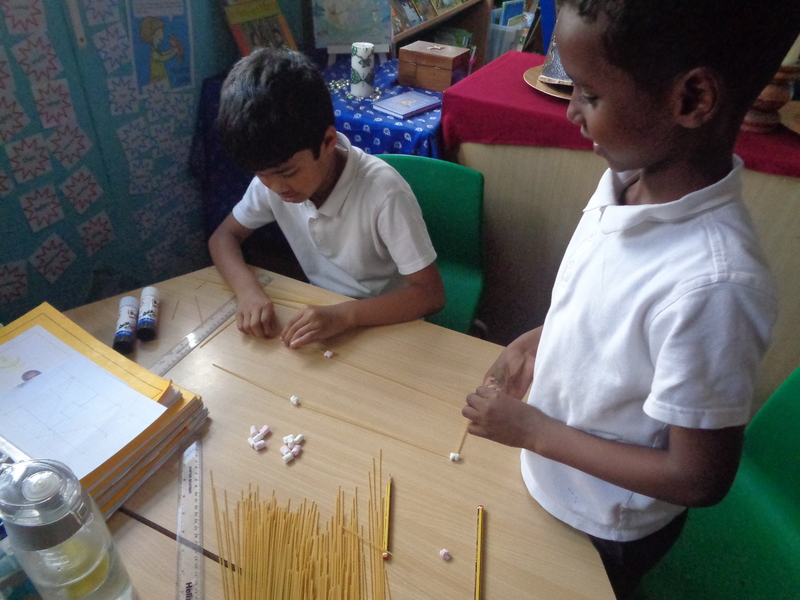 We decided upon a very strange material… spaghetti and marshmallows! 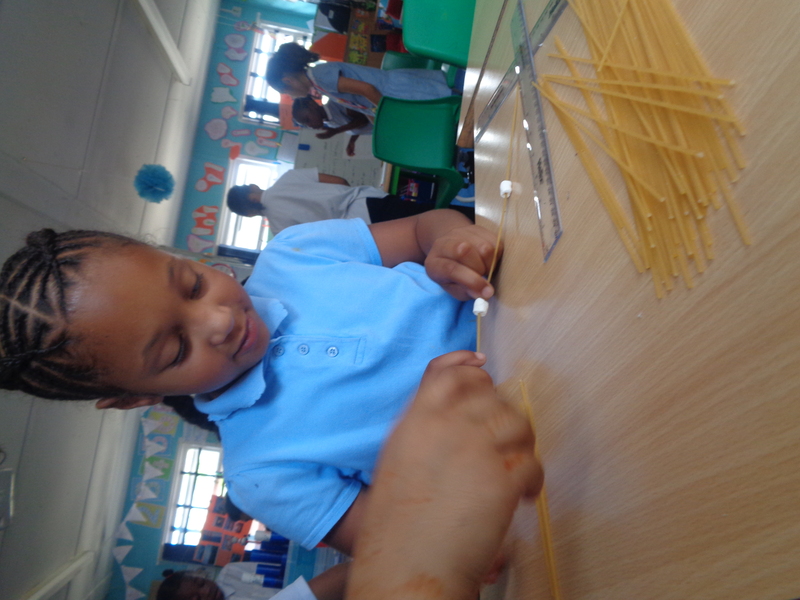 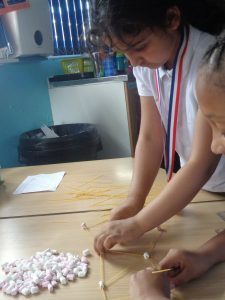 We knew the bridges had to be strong so we had lots of fun experimenting with different shapes and sizes of spaghetti. 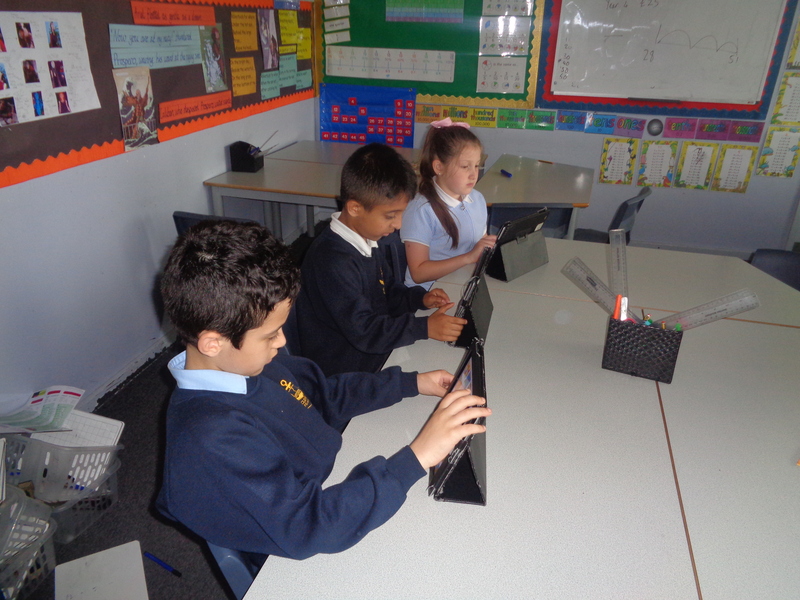 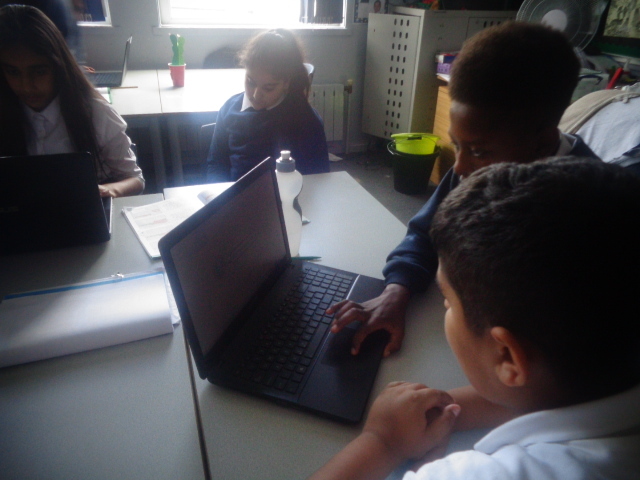 In computing this week Year 5 created a grid for light bolt to move around on and then sequence a set of commands to programme him to light up the blue tile. In computing this week Year 4 created a grid for light bolt to move around on and then sequence a set of commands to programme him to light up the blue tile. This week parents and children took part in the continued Talking Tips program. 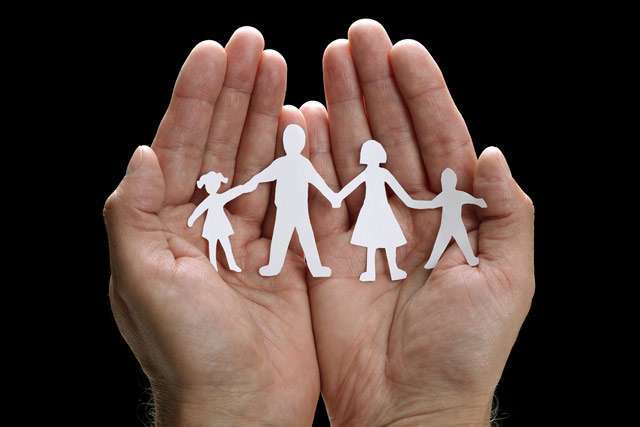 Parents worked well building their children’s confidence, language, eye contact and interaction. 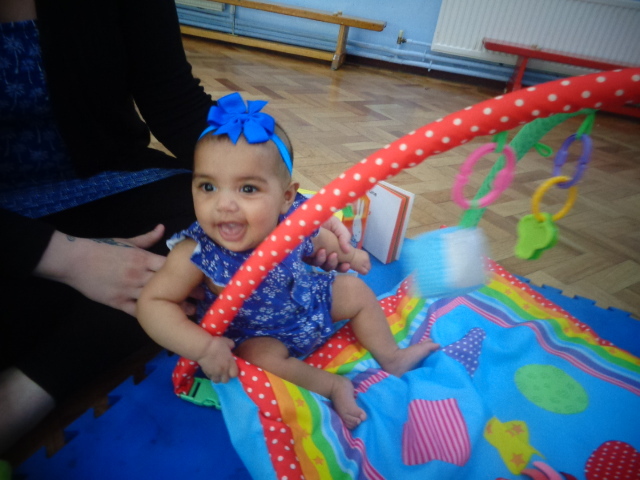 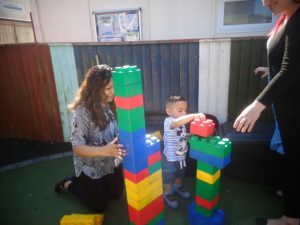 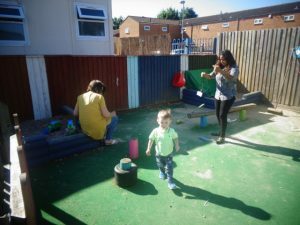 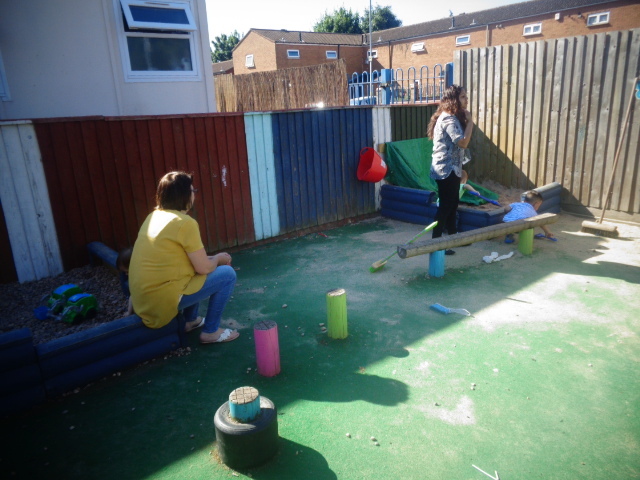 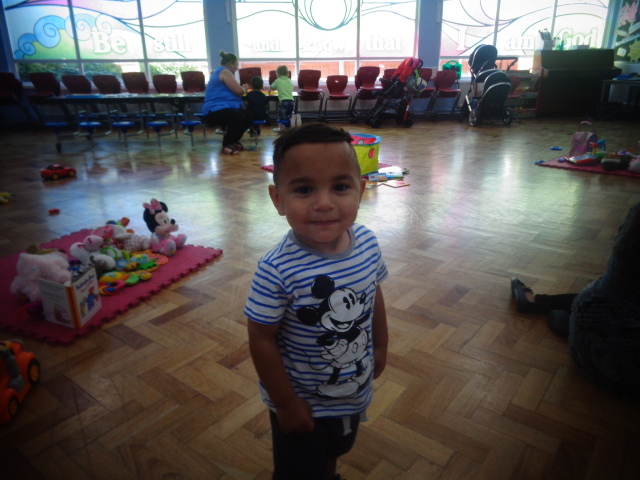 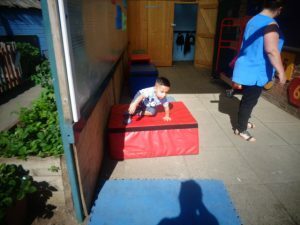 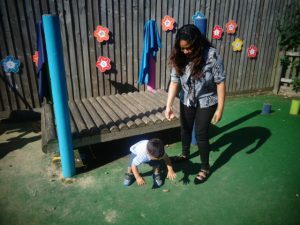 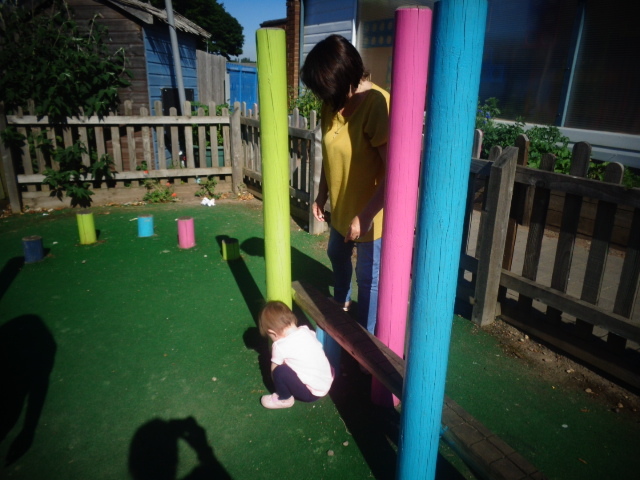 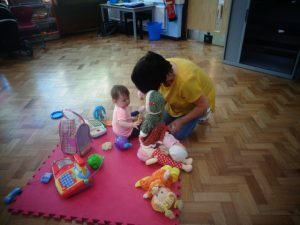 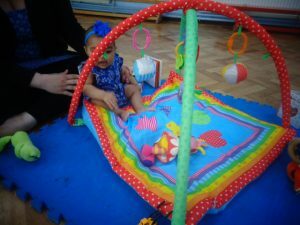 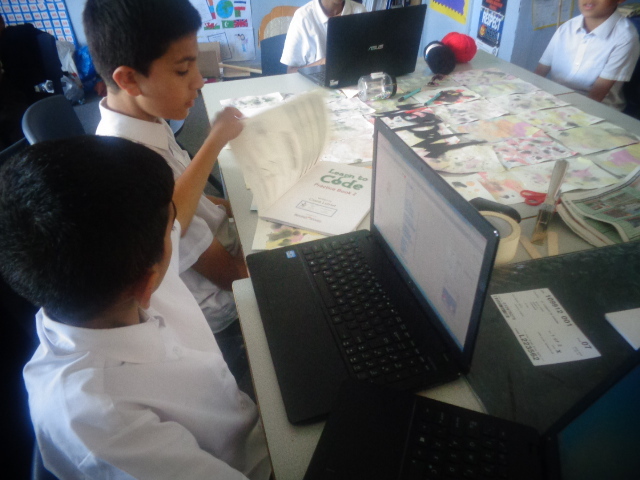 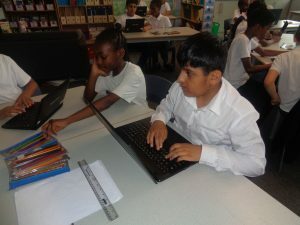 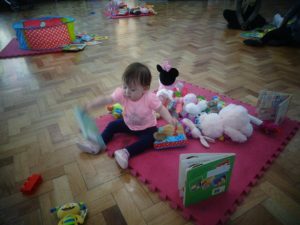 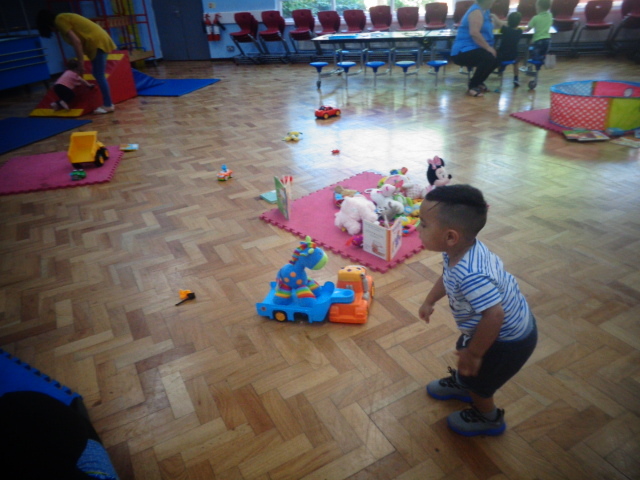 The families took part in a range of activities that encouraged and promoted conversation, vocabulary and above all fun! 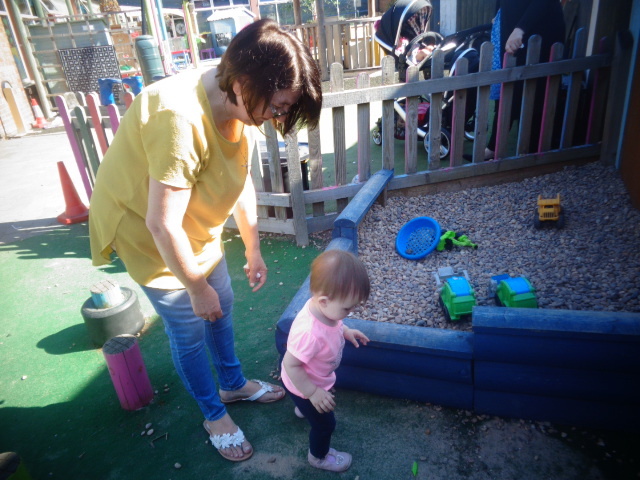 If you would like more information on parent and child courses please see Miss Akers or contact Bloomsbury Family Centre. 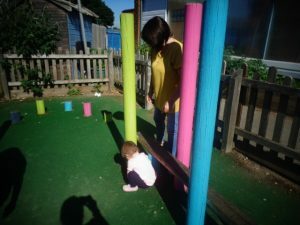 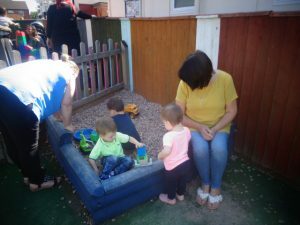 This week was the last St Clement’s Stay and Play until September. 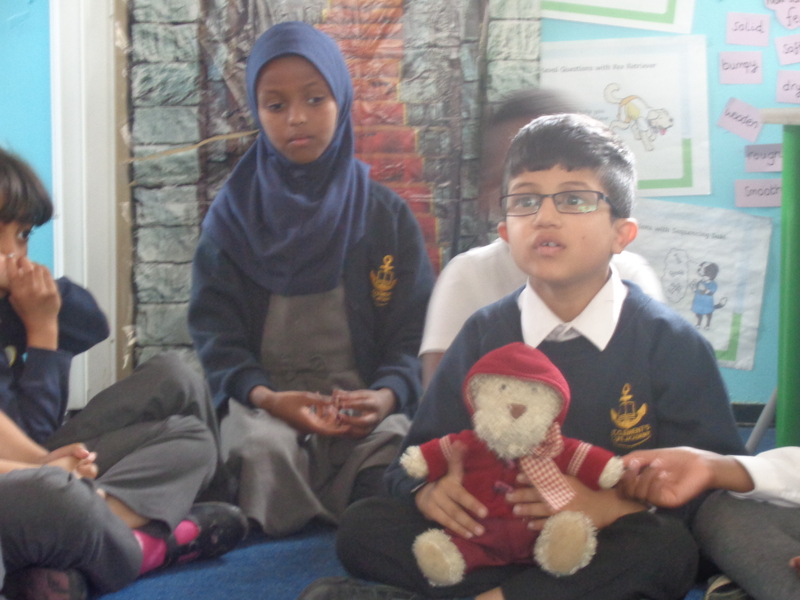 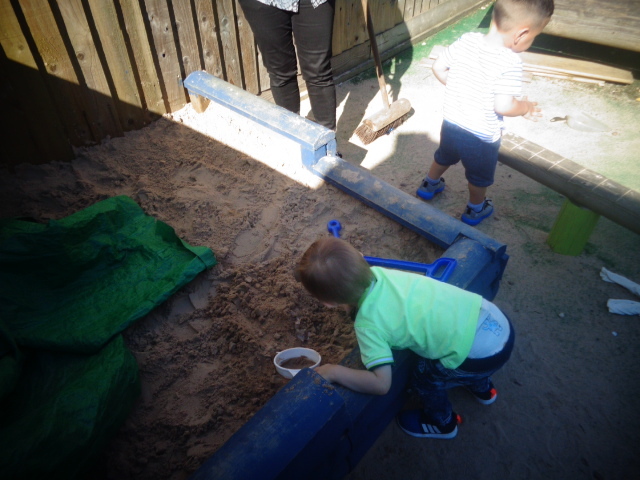 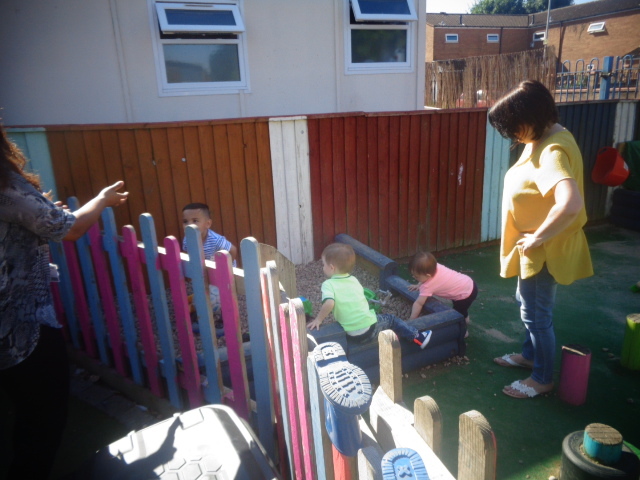 The children again had a wonderful time exploring, singing, sharing and learning new things. 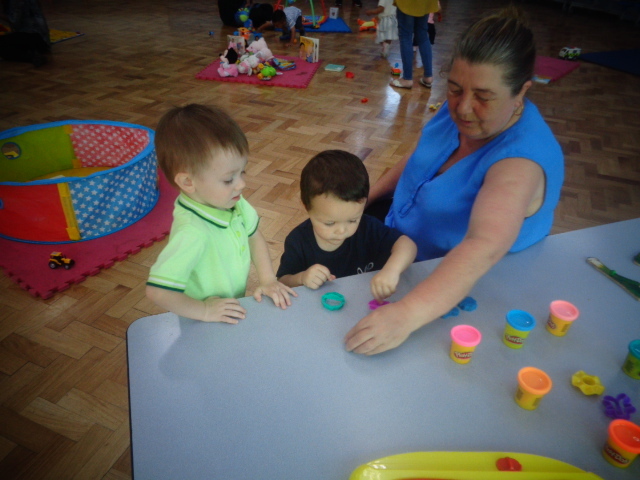 Please come along and support our community stay and play sessions, which will start again in the Autumn term. Keep a look out in the St Clement’s Newsletter for more information.